Oregon has a new law dealing with receiverships administered by the Circuit Courts in Oregon. Previously, Oregon had only ORCP 80 Receivers, which was short and covered grounds for an appointment and some basics regarding the order, notice of the receivership, the form of notice, and when and how terminated. Lawyers familiar with foreclosure and business liquidation were able to work with the bare bones of ORCP 80. The rule's functionality was limited, with little guidance for judges and/or parties to understand how it would work during the receivership. Delays and avoidable problems thwarted the attempt to facilitate liquidation or sale of assets to maximize recovery for creditors. Older case law provided limited guidance. On June 15, 2017, Governor Brown signed SB 899, the Oregon Receivership Code, which takes effect on January 1, 2018. The law will not only be used for real estate foreclosures, it will allow receiverships in Oregon state courts to be used in the liquidation or foreclosure of business assets and as authority for the sale of the assets free and clear of liens (similar to bankruptcy law). Experience with Washington law and Federal Court Receiverships caused Oregon lawyers, receivers, lenders, and creditors to become anxious in recent years for a new law here. In 2016 (or earlier), the Oregon Law Commission decided to take on the project. Washington was amending its law to deal with problems that arose under its original statute. Nationally, a group had passed the Uniform Commercial Real Estate Receivership Act, with annotations containing a comprehensive review of background and authority for many issues. The confluence of new source material and a supporting body created the opportunity to facilitate the drafting of the new Oregon law. The Oregon Law Commission started the process in January 2016, by selecting a number of experienced Oregon lawyers (including my partner, Jeff Misley, and myself) and some receivers and judges to form a drafting workgroup. Professor Andrea Coles-Bjerre served as reporter of the deliberations. For a year, this group met regularly as it drafted the statute, aided by the Oregon Law Commission Director staff and Legislative Counsel attorneys. The group focused on the Washington receivership statute and the Uniform Commercial Real Estate Receivership Act. After careful consideration, the workgroup drafted its own statute while taking ideas from each of the sources. The result of the efforts and input was Senate Bill 899 which easily passed the House and Senate. If you wish to review the text of the new law, go to the following website: https://olis.leg.state.or.us/liz/2017R1/Measures/Overview/SB899. If you would like the report on the new law prepared by Professor Coles-Bjerre, please contact me at bcaplan@sussmanshank.com. The length of the statute and report preclude inclusion with this article. The new law allows creditors and/or businesses needing dissolution or sale of their assets to pay debts with an alternative to bankruptcy. The new law clarifies existing law rather than makes significant substantive changes. It provides an easier roadmap for all parties of a receivership to accomplish the goals. Rather than designate a custodial or general receivership, the statute provides, under Powers of Receiver, a menu approach. The motion and order can be crafted to allow the receiver only such powers as are necessary. If any party objects, the judge will be able to expand the scope as needed. This will force parties and the court to consider, at the commencement of the case, what the receiver should be doing. Many small and/or foreclosure cases, usually initiated by a lender, will not result in any recovery for unsecured creditors. Accordingly a claims process, for example, will not be necessary. The powers can be modified during the case should circumstances dictate. In a business receivership, due to the foreclosure of a lender's security interest in the business assets, power is granted to receivers to sell the assets free and clear of liens, claims, and encumbrances just as in Section 363 under Bankruptcy Law. Under prior law, many Circuit Court judges questioned whether they had such power to allow receivers to do that. The law also provides for a six-month automatic stay which can be extended. It provides rules for assumption or rejection of executory contracts. There are liberal ways for parties to appear and participate in the Receivership without becoming formal parties in the case. Without the review of the entire law, it is difficult to fully explain everything SB 899 includes. One important change: it provides an option for debtors, lenders, unsecured creditors, and purchasers of assets to proceed under circumstances where previously a bankruptcy sale would provide the needed protection. The drafters intended that the process go more quickly, more smoothly, less expensively, and with greater certainty than the remedies and the results previously permitted under Oregon receivership law. This article starts the process of familiarizing the reader with the new alternative to address certain distressed debtor situations in Oregon. Many have chosen not to seek Oregon receiverships because of the uncertainty of the powers of a receiver under ORCP 80. The drafters of SB 899 are hopeful that the law will, in certain cases, provide new opportunities for unsecured creditors to receive a recovery that previously did not occur. Please feel free to contact me if you have any questions regarding the new law. Barry joined Sussman Shank LLP in 1968. He has practiced in most areas including litigation and representation of many business clients. Prior to joining the firm he was a Deputy District Attorney. 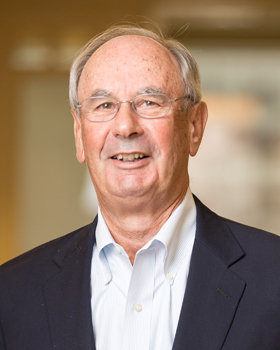 A partner since 1970, he was the firm's first managing partner from 1980 to 1986. Barry has also previously chaired the firm's Bankruptcy practice group for a number of years. He has been a strong supporter of NACM northwest and served on the NACM Northwest Board of Directors, 1993 to 1999, chairing it from 1997-1998.